Miffed over the 'unplanned' demonetisation move of the Bharatiya Janata Party (BJP) government, Congress plans to take out a protest march in Jaipur on 24 November demanding measures to provide immediate relief to people facing hardship due to the Centre's decision of demonetisation. 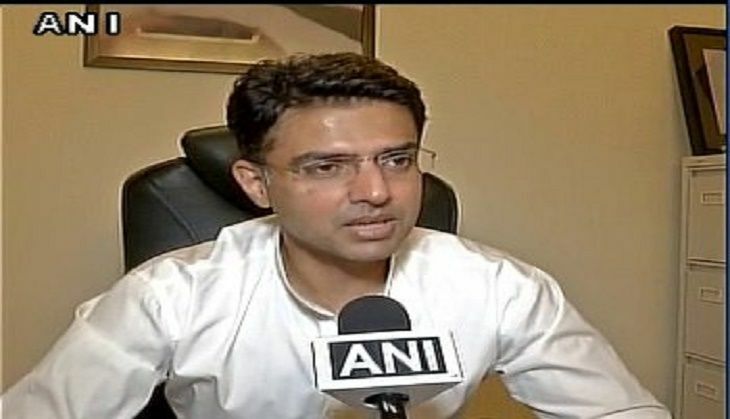 PCC President Sachin Pilot, who held a meeting of the party leaders to discuss the issue, said people are facing tough time and crisis of currency and no relief measures were taken by the government for the convenience of people who are lined up in queues to exchange currency notes. Referring to various reports, he said that close to 100 people have died due to the decision of the government and people have to wait hours in queues in banks to change the notes. "Production and business in the entire country has been badly affected. Daily wagers are without work, farmers are not getting buyers for their agriculture produce and they also have no money to buy seeds and fertilisers which would create crisis of food in the days to come," Pilot said. He said that the government's decision to not charge toll tax should be continued and free distribution of ration should be there in slum areas and to BPL families who are short of money. "There is resentment among people which is being ignored by the government. Trade and industry stakeholders are also in trouble due to the decision," he said. Pilot said that the Congress welcomes the decision of demonetisation but the hardship faced by the people cannot be ignored or tolerated. The PCC Chief said that the party will take out Jan Akrosh march in Jaipur and demonstration will be held all over the state on 24 November.